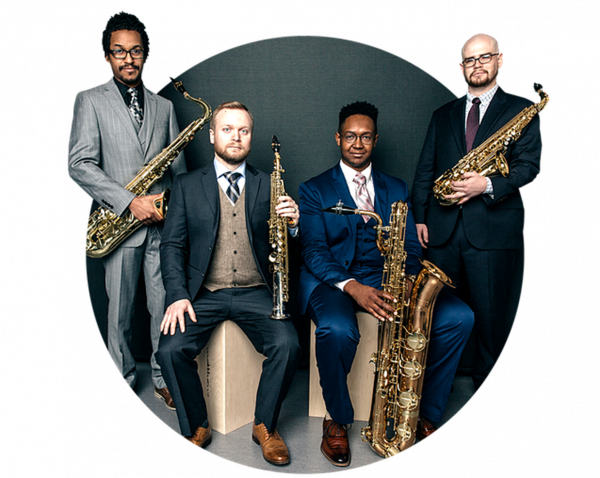 Discover the saxophone quartet, one of the hottest trends in chamber music! Come and check out their electrifying stage presence and sounds. Presented by Chamber Music of Tulsa. Explore the sounds of hip-hop by engaging with our turntable. While you're there, take a look at the art provided by Black Moon Collective and Clean Hands. Located on the first floor. Sing, dance and have fun with Mr. Benji. For toddlers to elementary-school kids. Homeschoolers, this program is for you! Enjoy STEAM (science, technology, engineering, art, mathematics) activities for ages 5-12. Class size is limited. Registration is required. Register online. Organizing your digital photos and documents can be confusing. Join us as we explore best practices for organizing and storing your digital assets. Registration is required. Join us as we paint "happy little trees" and watch Bob Ross' iconic "Joy of Painting." Art supplies and good vibes are provided; just bring yourself. Seating is limited. Registration is required. Bring the whole family for this storytime geared toward children ages 0 to 5! Learn and enjoy songs, stories and activities that will aid in developing your child's early literacy skills. Bring your lunch and get tips from the library's own Seed Library on saving heirloom seeds to make your garden even more special! This class is an introduction to different social-media platforms, including Facebook, Instagram and Twitter. Registration is required. Register online or call 918-549-7323. For adults. All skill levels are welcome to join us for this beginning yoga class taught by certified yoga instructor Christine Von de Veld. Bring your own yoga mat or use one of ours. For adults and teens. Bring your babies for bubbles and books, and your toddlers for trikes and tales! Our songs, stories, games and activities will aid in developing your child's early literacy skills. Looking to save your family history in a more updated format? Learn how you can use our digitization equipment for your genealogy projects. Registration is required. Busy hands, busy brain! Preschoolers learn through hands-on activities. We will explore, experiment and create. Be ready to get messy! Read or listen to "Smoke Gets in Your Eyes" by Caitlin Doughty and then join us for a discussion of the novel. For adults. Discover and learn how to use free tools for finding your best business location or customers. Registration is required. Register online or call 918-549-7323. Join us for a demonstration of our CNC carver, learn how the machine works and software used, and see example projects. Seating is limited. Registration is required. Join us for an evening of hip-hop dance with instructor Joshua Forbes. Class size is limited. Registration is required. Register online or call 918-549-7323. For ages 10 to adult. Do you know how your priceless memories that are spread between your computer, email, social-media accounts and phone will be passed along to your loved ones? Registration is required. Take a journey through the world of books and discover YOUR reading identity! Enjoy refreshments and fun activities along the way. This is a come-and-go event for ages 7-10. Want to learn more about the AEP/PSO Foundation Digital Literacy Lab? Come and see what we’re about! Registration is required. Register online or call 918-549-7323. For adults and teens. Learn the basics of how screen printing can be used to create your own brand with personalized T-shirts and stickers. Limited supplies are provided. Seating is limited. Registration is required. Bring your lunch and learn from the experts how to get started composting. This class is designed for new computer users who have little or no previous experience using computers, Windows, a mouse or the internet, and little or no knowledge of basic computer terms. Join us for a special art installation by Rachel Hayes, internationally exhibited member of the Tulsa Artist Fellowship. Health care can be confusing. Not sure if you qualify? Not sure where to start? The folks at Tulsa Healthcare Coverage Program are here to help. Join us for an evening of poetry with nationally renowned poet Quraysh Ali Lansana. Seating is limited. Registration is required. Register online or call 918-549-7323. Learn the basics of editing in Photoshop. You must have experience using a computer, mouse and the internet. Registration is required. Register online or call 918-549-7323. For adults. Bring a brown-bag lunch, craft or art project, and cozy in with us while listening to local orators delight you with some of their favorite reads. Light bites are provided. Registered therapy dogs are excellent listeners. Kids ages 5-12 are invited to read their favorite books to a furry, four-pawed friend. Join us as we honor the winners of the 2019 Adult Creative Writing Contest, sponsored by the Friends of the Tulsa City-County Libraries. See a demonstration of our screen printer using stencils. We'll discuss how the machine works, software used and projects that can be created. Registration is required. Learn the basics of editing in Adobe Lightroom. You must have experience using a computer, mouse and the internet. Registration is required. Register online or call 918-549-7323. For adults. Join internationally exhibited fiber artist Rachel Hayes, a Tulsa Artist Fellow, for this hands-on, drop-in workshop on making art on a sewing machine. Seating limited on first-come-first-serve basis. See a demonstration of our 3D printer. We'll discuss how the printer works, software used and 3D projects done by other customers. Registration is required. Register online or call 918-549-7323. Are you a romance lover? This book club is for you! Join us as we discuss "Emergency Contact" by Mary H.K. Choi, a young adult romance about two young lovers who form a bond via text. A RSVP/OSU Opioid Awareness Educator volunteer will educate and inform the community about the personal, family and community risks of opioid addiction. For adults.